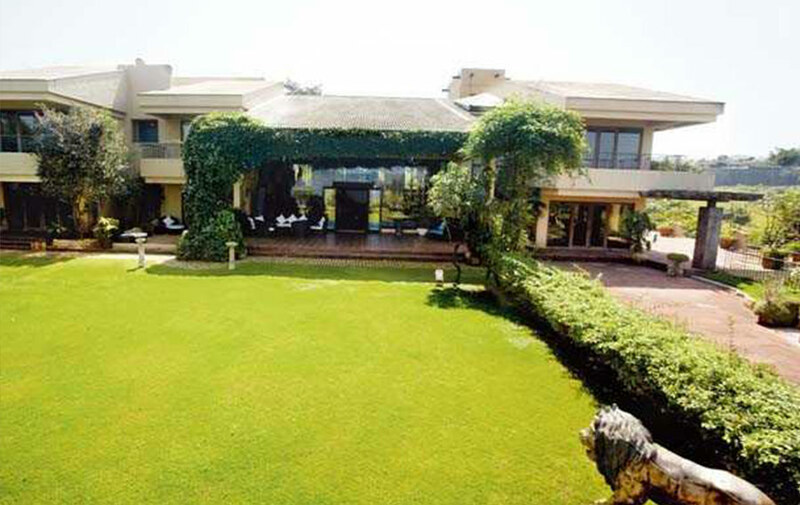 Shahrukh Khan’s Mannat to Amitabh Bachchan's Jalsa to Shilpa Shetty’s Kinnara; celebrity’s home sweet home is always the hot talk of the town. 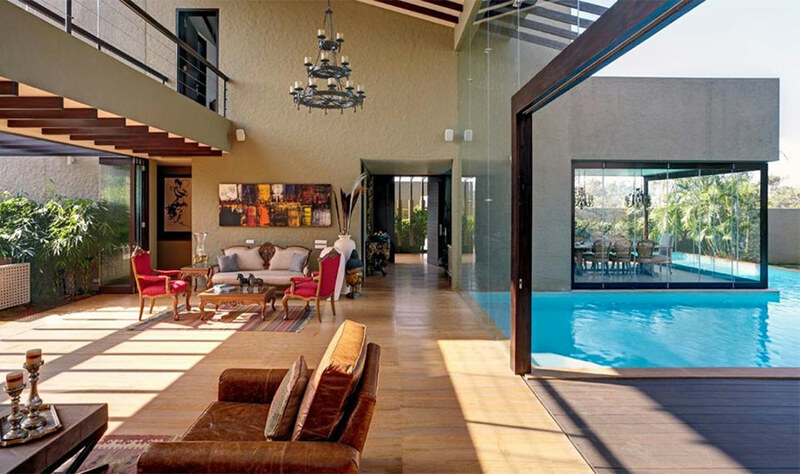 Today, we are going to talk about Sunil Shetty’s lavish holiday home in Khandala. Away from all the hustle and bustle from the city, Shetty’s home is giving us major vibes of an island. Sunil Shetty is one of the biggest B-Town stars we have from 90’s. He is successfully entertaining us by his actions and comic timings but when it came to mental peace away from city chaos, he chose a spot in Khandala for his holiday home. The reason behind this spot is only its naturally amazing location and mesmerizing view. According to Shetty, “Study nature, Love nature, Stay close to nature. It will never fail you.” So, he opted the tribal theme for his dream house. Now, without further ado, let’s get straight into the world of our wittiest and versatile actor Sunil Shetty’s holiday home. 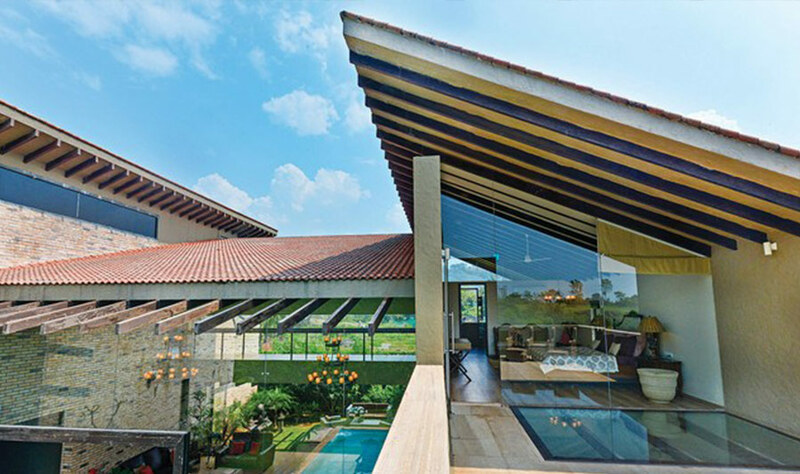 Shetty’s holiday home is beautifully wrapped in the arms of mother nature. He always wanted to stay close to green designs, natural air and skylights. His tribal themed house is spread over a vast area. The spacious and stunning villa is spread across 6,200 sq. ft., which has a forest like a garden, infinity pool, five bedrooms with attached bathroom, dining room and one media room. The main highlight of this house is Dining Room suspended over the pool. As he wanted the water element in his house which can give the villa an island-like feel. Not only the pool but his backyard is also giving the vibes of the forest rather than a garden. And, he also made sure that every tree is planted by him or his family. According to Shetty, he likes to stay nostalgic by travel picks from different places, which we can easily witness on the wall of his living room. The beautiful collection of masks is from Africa. The living room has the rustic charm as the architect Mr. Alan Abraham incorporated a slanted tile rooftop. 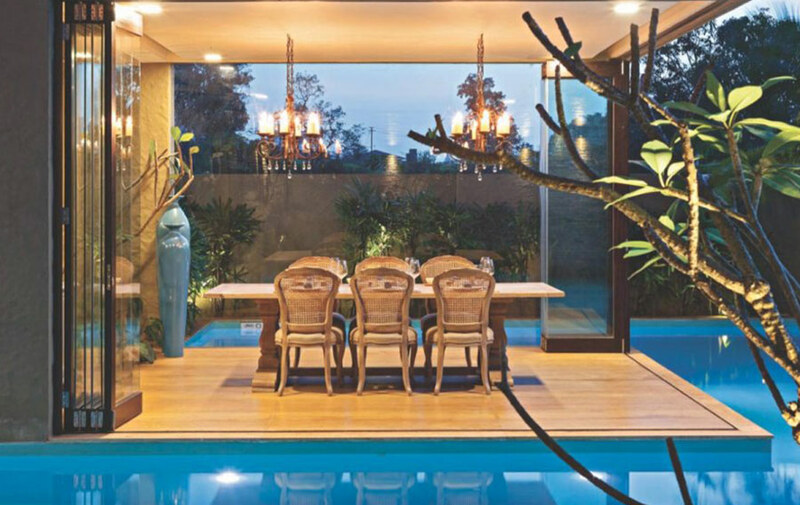 It is featured by wooden rafters and a tall glass to compliment the greenery of surroundings. The sandstone flooring is chosen for the entire villa which gives the earthy appeal. 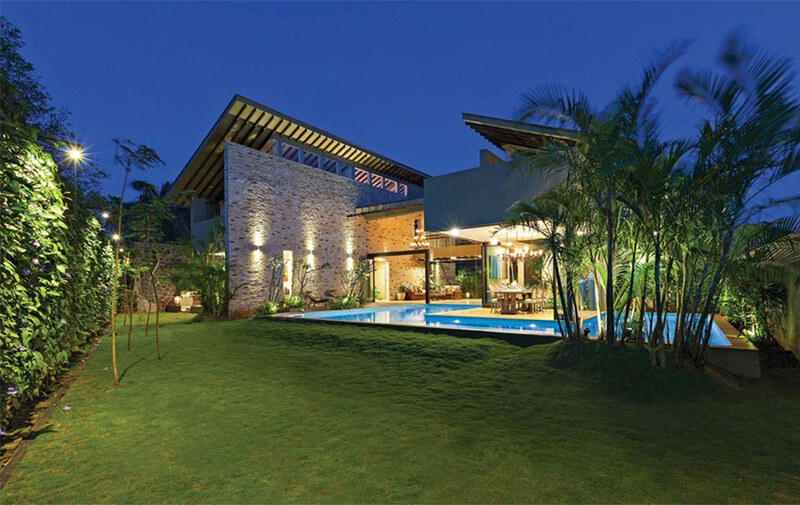 Bigger the house, Bigger the Bills, but not with Shetty’s house! As Shetty said his house looks like more on the expensive side, but the fact is, he incorporated so many cost-effective things in his villa. He has windmill and solar energy system in his house. It nearly took 5 years to convert his dream into a reality. 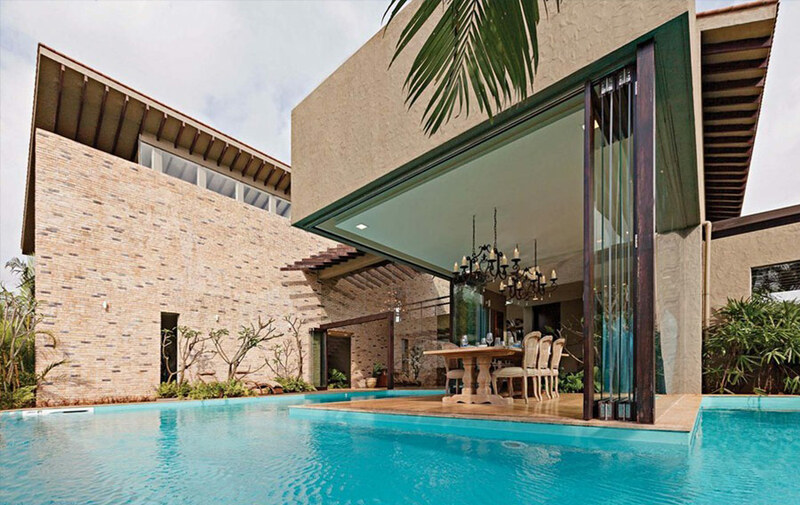 The architect of this villa is Mr. Alan Abraham, and the interior is styled by Sunil Shetty’s wife Mrs. Mana Shetty who is the owner of R house, lifestyle owner in Mumbai. His oh-so-gorgeous piece of architecture is not less than a paradise.